The retro styling is, of course, a deliberate choice by the team at Audi. It has been 35 years since Audi came out with its legendary Quattro technology, so the styling is an anniversary nod to the very first Quattro models. 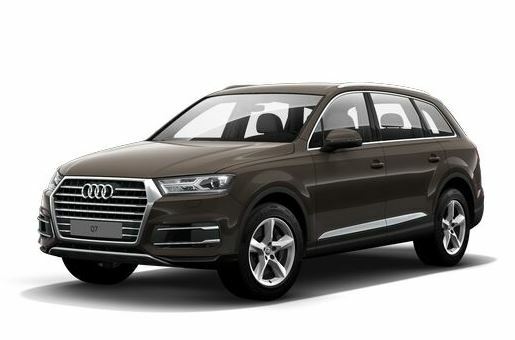 Open the door of the Audi Q7 TDI SUV or lift the bonnet and you’ll soon see that despite the 1980s styling, the Audi Q7 TDI SUV is very much a car of the 2010s. Let’s start with the engine. It may be a diesel engine but this is no lumbering 1980s brute that came out when the stock markets were booming, peak oil was something only thought about by mad tree-huggers and nobody had heard the words “carbon credit”, “sustainability” or “climate change”. The engine has 200 kW (at 3250–4250 rpm). It’s also sheer torque heaven. It’s got more torque than some 1980s farm tractors: 600 Nm at 1500–3000 rpm. Don’t believe me about the tractor? The John Deere 3140, a medium to small farm tractor from 1980–1987 had 320 Nm. Nevertheless, in spite of a 0–100 km/h sprint time of 6.5 seconds, the combined fuel consumption figures in test conditions is 5.9 L/100 km. You’d need a dinky little sports car to get those 0–100 km times in the 1980s and an even dinkier, littler granny car to get the fuel consumption figures. Aren’t you glad you live in the 21st century? Right, now let’s look inside the Audi Q7 TDI SUV. Again, once you look past the traditional leather and walnut trim you get in some models – good taste never goes out of fashion – you will see that this is indeed a very modern SUV. For a start, it’s got seven seats rather than the five common in luxury vehicles of the 1980s. You’ll also find air-con, but not just the bog-standard type you got in the 1980s; this is dual zone climate control. However, what’s on the dashboard is the sort of thing that belonged in the sci-fi fictional cars of the 1980s: an 7-inch colour display screen that displays what’s playing on the 8-speaker sound system from the radio, through the USB input jack or on the CDs – or just driver information. Upgrade to the MMI Radio Plus or MMI Navigation options and you’ll get this system with Bluetooth integration and voice control (Radio Plus) or a full navigation system. You can also opt for the Audi virtual cockpit, where a map is displayed digitally behind the speedo and rev counter, with your route all mapped out on it. The lighting system uses LED technology, as do the rear lights (the front lights are Xenon headlights with dusk and rain sensors as standard; LED front lights are optional). Back in the 1980s when Audi’s Quattro technology first came out, this was pretty special. You also though you were pretty lucky if you got power steering, automatic transmission and cruise control. Well, the Audi Q7 TDI SUV has all that and more. It’s got remote stopping and starting. It’s got rear parking assistance and hill hold assistance. It’s got electronic stabilisation control with EBD on the ABS brakes, anti-slip regulation, electronic differential lock control and tiptronic gear shifting. That’s just the basic options – if you go for the assistance upgrades, there are tons more driver aids that you can get. What’s more, because driving assistance is about fun as well as safety, the Audi Q7 TDI SUV also has the Drive Select function with dynamic suspension that allows you to choose from automatic, comfort, efficiency, allroad, and offroad driving modes. More reasons that you should be glad you live in 2016. In addition, to make sure that you LIVE in 2016, the Audi Q7 TDI SUV has airbags front, side, head and rear, with a deactivation switch for the front passenger airbags if you need to put a child in the front seat. If you prefer to put the kids in the back, ISOFIX child seat preparation with top tethering comes as standard. For any more information on the Audi Q7 TDI SUV, or for that matter any other new car, contact one of our friendly consultants on 1300 303 181. If you’d like some fleet discount pricing (yes even for private buyers! ), we can submit vehicle quotes requests out to our national network of Audi dealers and come back with pricing within 24 hours. Private Fleet – car buying made easy!